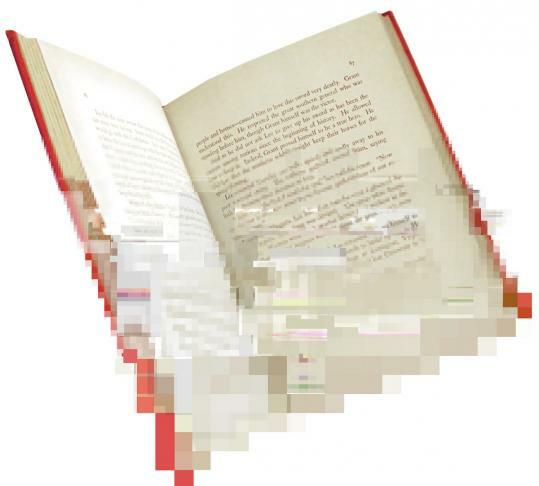 At Internet speed, sales of e-books are surging as those of paper peers struggle. How far will transition to digital go? This essay is the second in a three-part series about reading. Part one focused on reading in the past, and part three will look at the future of reading. “The past is a foreign country; they do things differently there,’’ wrote L.P. Hartley in the first sentence of his 1953 novel, “The Go-Between.’’ If you’d like to read more, you can buy “The Go-Between’’ in paperback, a 2002 reissue by New York Review Books. You can also borrow it from the library, or read large amounts of it on Google Books for free. What you can’t do is buy it for download to your e-reader or your tablet, or as an audio file for your mp3 player. When “The Go-Between’’ was last republished, no one was selling books in those formats. As far as reading goes, 2002 is a foreign country; we do things differently now. If you’re an adult who reads books today, you are an immigrant from that foreign land - a “digital immigrant.’’ You may love your new iPad, but you were raised in the old country of bookstores, marginalia, the scent of paper, flap copy written on actual flaps. Meanwhile, the toddler playing with his parents’ tablet today will grow up a “digital native,’’ as accustomed to the one-click book purchase as you are to a dust jacket. We’ve been sailing toward this country for some time, but in 2011, we arrived. Last year, the publishers surveyed by the Association of American Publishers saw 8.3 percent of domestic net sales from e-books. Three months into this year, Simon and Schuster’s e-book sales had climbed to 17 percent of revenue; at Hachette, parent company of Little, Brown, the figure was 22 percent. From November to May, according to a Pew Internet Project study, the percentage of American adults with a dedicated e-reader (like a Nook or Kindle) leaped from 6 percent to 12 percent. Another 8 percent now have tablets. To add a little context, fewer than half of Americans even buy a book in a typical year. So for 12 percent of all Americans to have an e-reader is not trivial. Meanwhile, print sales are down about 25 percent. Physical bookstores, including the Borders chain, which is in bankruptcy reorganization, are on the rocks, rapidly adding stationery sections and ticketed author events to make up for plummeting book sales. And Amazon, which offers books in every possible format but is heavily promoting its proprietary Kindle device, announced in January that it is now selling more copies digitally than in paperback. Faced with this sea change, the publishers, bookstore owners, and cultural critics who have built lives and livelihoods around printed books are very publicly scrambling to adapt. With less fanfare, regular readers are too. Over the last year, I’ve spoken to many such readers (including in dozens of interviews for the Globe’s Bibliophiles column) about the e-book transition. Like industry professionals, they worry about the threat to bookstores and what it will mean if books become purely virtual. But the financial stakes are lower - at most, the cost of a device that ends up in the junk drawer. And so they are experimenting, hesitating, hedging, trying to add new ways of reading without abandoning the old one. Beyond this general resistance to change, some holdouts listed more specific objections. Readers who adore book arts are disturbed by the uniformity of books on e-readers like the Kindle, which imposes a standard font and page size. As Chris Van Allsburg, author and illustrator of the classic children’s picture book “The Polar Express,’’ said: “On a [digital] platform, they all get ground into the same thing.’’ One day, more books will be designed expressly for digital platforms. But for now, almost everything available digitally was conceived as a print book, and few of them benefit from conversion. So who’s making the leap? The data is still raw: “There’s more hype than information,’’ Abbott said. A recent study by the Pew Internet Project suggested that Americans buying e-readers are more likely to be under 65 and make more than $75,000 a year - predictably enough. More interestingly, the study also suggested that one of the groups adopting e-readers most enthusiastically is Hispanic adults. Why? No one is sure. Demographics aside, certain qualities encourage people to try e-books. E-book readers are more likely to be frequent travelers, who appreciate being able to pack just one device and replenish their reading supply as needed. Daniel Johnson, a poet and director of the nonprofit 826 Boston, was still reading in print, but understood the appeal of an e-reader for travel: “What a disaster if you arrive in Thailand and you crack that one book that you brought, and then, three paragraphs into it, you just can’t stand the narrator!’’ As long as you don’t drop it in the ocean, an e-reader makes that problem obsolete. Then there’s the matter of what you read. Voracious readers of genre fiction - like romance novels and thrillers - don’t necessarily feel the need to display their books on the shelf forever, and they’re already used to their books being disposable and cheap. (One friend of mine used to exchange huge shopping bags of paperback romance novels with other women in her college dorm.) Today, sales of mass-market fiction - those small-format paperback “airport novels’’ - are in freefall, as readers switch en masse to digital. And this is the hitch. For the last 1,500 years or so, the idea of the book and the book as object have been indivisible. We readers respect and adore long-form writing, whether it is argument, explanation, history, how-to, or story - and there’s no reason why that shouldn’t take digital form. But digital immigrants are used to the book being something else, too: a tangible object, and a symbolic one. We kiss our holy books; we build beautiful libraries, temples of learning; we scan the shelves at our friends’ houses and strike up conversations with book-reading strangers. We want books to fit comfortably in our hands. We gaze at our shelves to remember what we’ve read, and make stacks on bedside tables of the books we’ll devour next. Even within the publishing industry, no one is certain where the book market is going. Will e-book sales level out? Will they take over the market, or come to coexist with old-fashioned paper books? Will traditional distribution chains be replaced by print-on-demand technology, which some bookstores are now using to convert digital books back into paper? Will some kinds of books - small-press poetry, catalogs of paintings - resist the conversion entirely? And will today’s toddlers, some of whom are being raised on the enhanced e-book of “Pat the Bunny’’ rather than the old fuzzy version, have the same urge to build collections of paper volumes? Whatever happens, this moment is an ephemeral one. Right now, the race is on to develop the best digital platform for reading. But ultimately the real question will be the inverse: not how books make technology evolve, but how technology changes books and the people who read them. You might want to remember this time; snap a few mental photos. Within a few years, the literary culture of 2011 will be a foreign country, too. Amanda Katz is deputy editor of the Ideas section and a former book editor. You can e-mail her at amkatz@globe.com.